eProject Builder won the 2018 R&D 100 Award, and Opus 12 is a co-recipient of a Special Recognition Award. The technologies may lead to advances in building efficiency and sustainable energy production, to name a few possible applications. 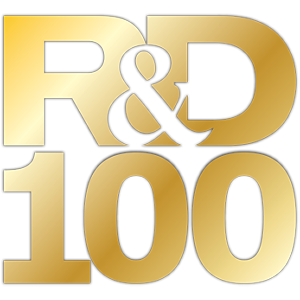 Since 1963, R&D Magazine’s annual R&D 100 Awards have recognized 100 technologies of the past year deemed revolutionary by an independent panel of judges. This year’s winners received the awards at a Nov. 16 event in Orlando, Florida. The full list of winners is here. 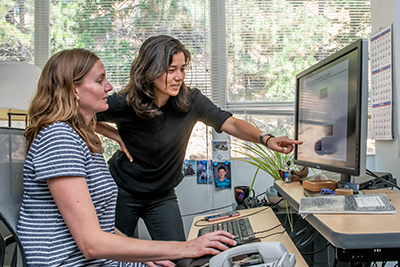 “Three scientific divisions at Berkeley Lab have been working on eProject Builder for more than five years. We’re thrilled to receive an R&D 100 award, and it is a testament to the importance of tracking the performance of local, state, and federal government investments in energy and water infrastructure,” said Peter Larsen, Principal Investigator of eProject Builder. 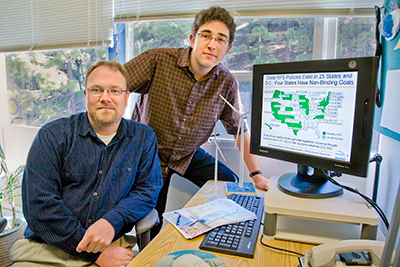 eProject Builder (ePB) is a secure, web-based data management tool developed by Berkeley Lab with funding from DOE. It is the only nationwide system that standardizes the collection and tracking of information for energy/water retrofit projects implemented by energy service companies (ESCOs). The $6 billion U.S. ESCO industry implements comprehensive projects that provide long-term cost, energy, and other resource savings in government, institutional, and private sector facilities. ePB enables facility owners and managers and their ESCOs to preserve, analyze, and track their energy project data, and to benchmark proposed projects against performance metrics across regions and market sectors. There are over 650 projects currently in the database – representing more than $5 billion in total investment – and over 1,000 users have been trained. ePB has seen increasing adoption by the ESCO industry and has been endorsed by the two leading ESCO industry trade associations – the Energy Services Coalition and the National Association of Energy Service Companies. A number of government agencies require the use of ePB, including DOE’s Federal Energy Management Program and a growing number of state energy retrofit programs. In addition to the direct benefits to registered users, ePB continues to contribute to a national database of energy/water retrofit projects, which allows researchers to publish studies detailing project performance metrics and broader industry trends. The ePB system is free to use and available at eprojectbuilder.lbl.gov. Development of eProject Builder has been supported by the U.S. Department of Energy’s Federal Energy Management Program and Weatherization and Intergovernmental Programs Office. Developed by Opus 12 co-founders and Cyclotron Road alumni Kendra Kuhl and Etosha Cave, the OP1 device recycles carbon dioxide into cost-competitive chemicals and fuels. The technology fastens onto sources of carbon dioxide emissions, and with only water and electricity, transforms that carbon dioxide into valuable chemical products – a process that could reduce industrial carbon emissions while creating a new revenue stream from what is usually discarded as waste product. OP1 can produce cost-competitive chemicals and fuels from carbon dioxide at small and large scales. The development team previously demonstrated the production of 16 products from this carbon dioxide, including a precursor to plastic (ethylene), a precursor to diesel fuel (syngas), renewable methane, ethanol, and refrigerant (ethylene glycol), acetone, propanol, and formic acid. The technology’s core innovation is a cost-effective component that enables a standard polymer electrolyte membrane (PEM) electrolyzer to transform carbon dioxide into valuable carbon-based chemicals and fuels. At full scale and coupled with renewable electricity, OP1’s electrochemical reduction of carbon dioxide could offset one-third of global energy-related carbon dioxide emissions. The developers have collaborated with a world-leading systems integrator to develop a commercial OP1 carbon monoxide generator, which will be a modular system that can accommodate a range of carbon dioxide input volumes. The developers say that such a device could be scaled for the $25 billion carbon monoxide and syngas market, potentially providing the U.S. manufacturing industry with a renewable source of carbon-based chemical products. Long term, the device could be used to produce carbon-neutral liquid fuels. 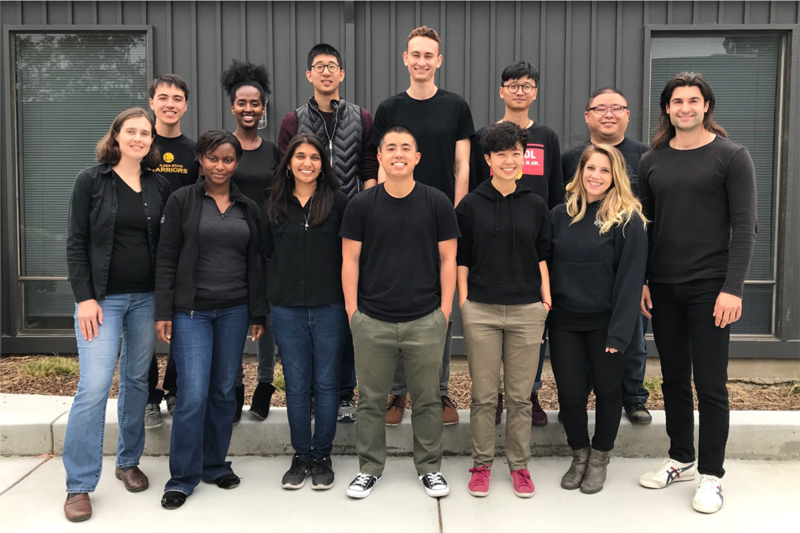 Opus 12 co-founders Kendra Kuhl and Etosha Cave were among eight innovators selected from around the country to participate in the first cohort of Berkeley Lab’s Cyclotron Road entrepreneurial fellowship program in 2015. Cyclotron Road fellows are embedded at Berkeley Lab for two years while they advance a breakthrough technology concept toward a first product.